Our MASSFlo series of mass flow meters includes both coriolis and thermal mass flow principles of measurement. Coriolis meters allow for real-time measurement of density and flow in liquids, slurries, and gases. 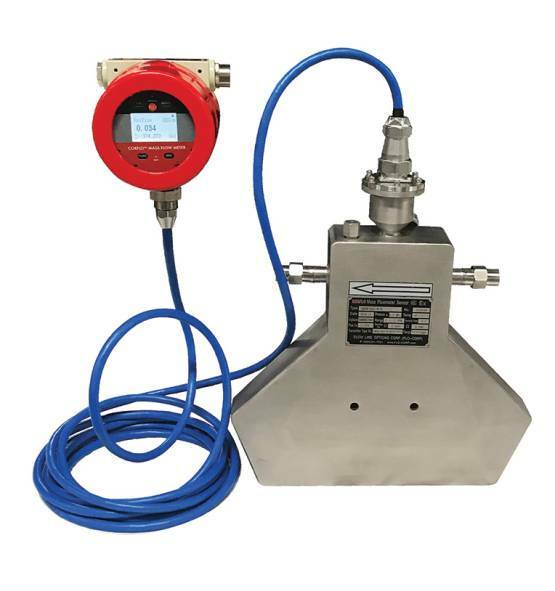 Thermal meters combine the convenience and accuracy of conventional mass flow meters with lower cost than previously attainable. Both meter types are constructed of 316 stainless steel for maintenance simplicity.